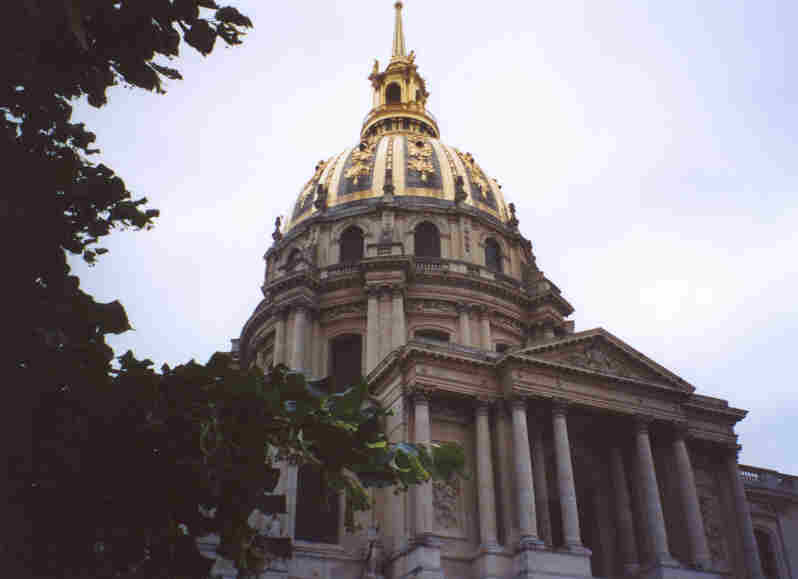 The Hôtel des Invalides includes 4 attractions: Èglise du Dôme (Church of the Dome), Èglise de St-Louis (Church of the Soldiers), Musée de l’Armée (Military Museum) and the Tomb of Napoléon. The building presents a combination of Italian Renaissance and Baroque features, but in a distinctly French manner. The windows of the dome provide light for the painted visions inside. Beneath the dome rests the sarcophagus of Napoleon Bonaparte. It rises 107 meters from the ground and the dome is gilded with 12 kilograms of real gold. His body rests in a sarcophagus of red granite on a pedestal of green granite. Surrounding the tomb are 12 figures of Victories, along with captured enemy flags. It took 19 years for the British to release Napoleon’s body, which had been originally buried at his place of banishment. 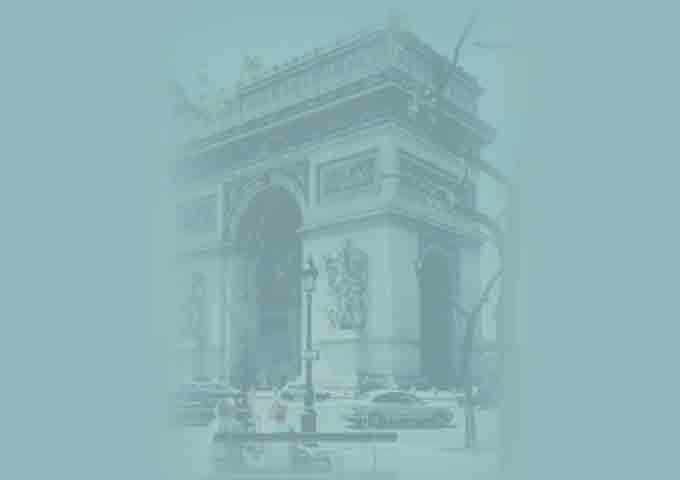 In 1840 Napoleon’s second funeral took place in Paris. Inside this huge sarcophagus, his body is further enclosed in 6 additional caskets. Other members of his family and some generals are buried around the sides of the church.